Trend for organic cosmetics is not going by; in fact, it is even stronger than ever before. Thus, it is no surprising that nowadays, there are many new cosmetic brands occupying themselves with producing mainly organic products. 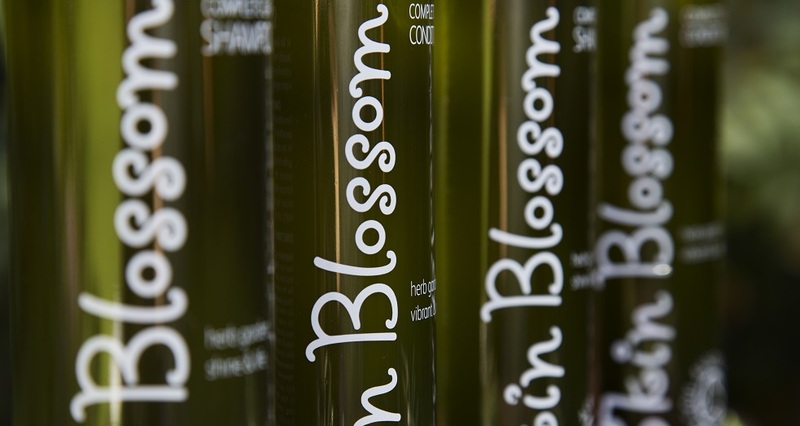 One of such brands is Skin Blossom, which happens to offer an exceptionally interesting product – a hair conditioner with Pracaxi and jojoba oil, aloe, rosemary and citruses extracts. Let us start with uttering a few words about the brand that can boast about its products being certified by Soil Association. This means that the cosmetics conform to all the stringent norms set for 100% organic hair care cosmetics. Skin Blossom hair conditioner with Pracaxi oil is one of the products which composition is free from any commonly used ingredients that are considered as artificial and harmful. What is more, Vegan Society put the product into vegan cosmetic list. And this in turn means that the effectiveness of the hair conditioner is owned due to only precisely selected, natural ingredients that determine up to 85% of the total hair conditioner composition. What ingredients are we talking about in particular? The key ingredient of the hair conditioner is an exceptional Pracaxi oil. It has extraordinary features – it delivers deep nourishment and softness to hair. This Amazonian Pracaxi oil is a synonym for strong regeneration, nourishment, and gloss without any hair weighting-down effect. The outcomes gained thanks to Pracaxi oil are visible just after the first rinsing and blow-drying of hair. Actually, the effect can be described as long-lasting. All the ingredients, together with Pracaxi oil on top, deliver excellent hydration, nourishment, and multidimensional hair care. What is more, Skin Blossom hair conditioner is suitable for all hair types. Also, it works well on sensitive and irritation-prone scalp. Owning to regular application of organic Skin Blossom hair conditioner, strands are no longer brittle nor dry. What is more, the conditioner helps with increasing hair porosity.